This is not a simple undertaking. 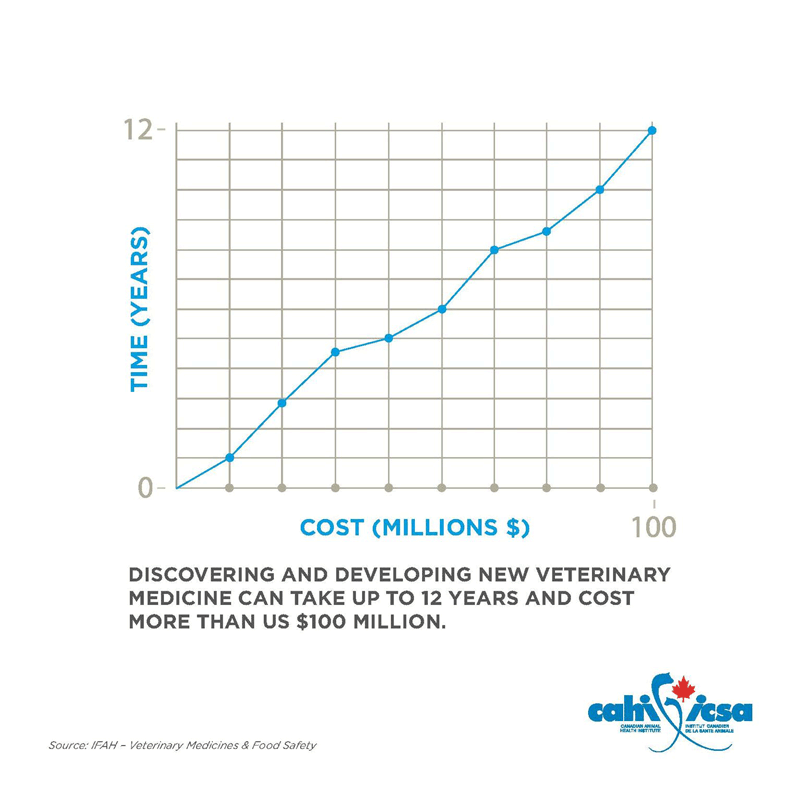 Bringing a major animal drug to market can take 7 to 10 years of research costing up to $100 million. HealthforAnimals, the global animal medicines association, regularly conducts Global Benchmarking Surveys on regional regulatory frameworks for veterinary medicines, including for the Canadian animal health industry. It summarizes the impacts these have on the industry innovation and access to products in the Canadian market. A copy of the 2015 full report can be viewed here.